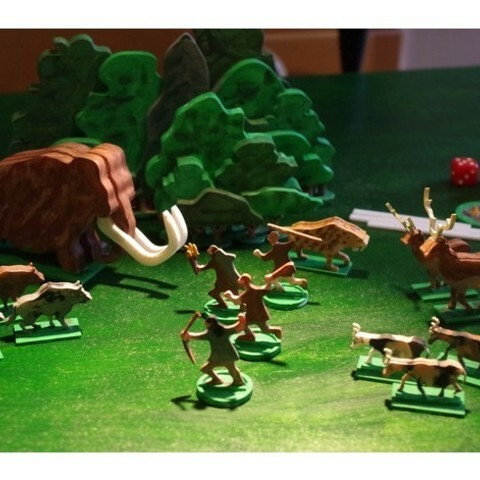 Since it was Veganuary and the chances of me following that diet hovered around the nil mark, I spotted a set of wargame rules called 'Palaeo Diet - Eat or Be Eaten' (from Ganesha Games and available as a pdf download from the Wargame Vault - can be played solo) and so reckoned that that would give me a moral diet advantage. As usual when I find a set of wargame rules and have zero of the necessary figures and am too tight to buy any, I resort to throwing out some cheap, quick and simple flat minis to cover the gap, and so I throw them your way. The hunters are one piece and comprise hunters holding spear,bow,fire!, and club as per the rules. Trees - I was adding some tree trunks to the foliage when I remembered that my slicer has a branch-style support option, so being lazy I suspended the foliage vertically above the plate on the slicer, set the branch support to 4 mm and let the software fill in the trunks. They came out OK really. The smaller foliage is for using as bushes. I did all of these on a 5% fill. Vary the scale to provide a variety of heights. Rulers - One file has the rulers for short, medium and long distances in. If your plate isn't big enough, I've loaded a second file with the long distance ruler in two halves for gluing together. Plan B - use a ruler! Deer - I've provided a full set of antlers for the deer. 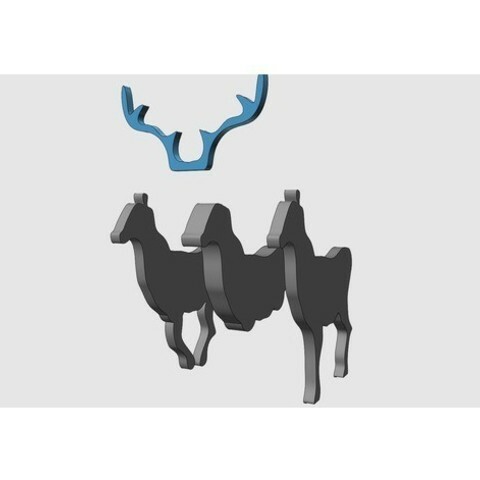 For young deer and females I just printed out a set of antlers and shortened them with clippers to get the desired length/effect. As a source of reference I have used a few screen pics from one of my favourite PC games - Far Cry Primal, and hand-drawn a set of splines, then extruded them to create the flats. One day I'll get round to doing them properly!